The company has its registered office in Rome and general management in Milan. UniCredit's core markets are Italy, Austria, Russia, Southern Germany and Bulgaria. The UniCredit Group has investment banking divisions in New York City, London, Hong Kong, Milan, Munich, Vienna, Budapest and Warsaw. UniCredit Group was the outcome of the 1998 merger of several Italian banks, which the majority one were Unicredito (banks from Turin, Verona and Treviso) and Credito Italiano (consists of Rolo Banca, Banca Popolare di Rieti), hence the name Unicredito Italiano. Credito Italiano issued about 38.46% new shares to the owners of Unicredito, and renamed itself to Unicredito Italiano. Other banks such as Banca dell'Umbria, Cassa di Risparmio di Carpi, Cassa di Risparmio di Trento e Rovereto (Caritro), Cassa di Risparmio di Trieste also joined the group in 1998–2000. A new subsidiary was also created in December 1999 which was named after the original Credito Italiano. In 2005, UniCredit merged with the German group HVB, which is itself formed in 1998 by the combination of two Bavarian banks: Bayerische Vereinsbank and Bayerische Hypotheken-und Wechsel-Bank. Integration with the HVB Group was reinforced by the merger with Bank Austria Creditanstalt in the year 2000 and enabled further growth for the UniCredit Group. However, this merger was only marginally profitable. Additionally, Bank Austria Creditanstalt was a major shareholder in Bank Medici AG. Bank Medici was Thema Fund's investment manager. In return for finding investors, Bank Medici collected fees of 4.6 million euros from Thema International Fund in 2007. Following the news that Bank Medici had invested US$2 billion with Bernard Madoff, officials in Vienna appointed a supervisor to run the private bank, raising questions about control of the sprawling group. In 2006, minority interests in Bra (31.021%), Fossano (23.077%), Saluzzo (31.019%) and Savigliano (31.006%) was sold for about €149 million to Banca Popolare dell'Emilia Romagna. 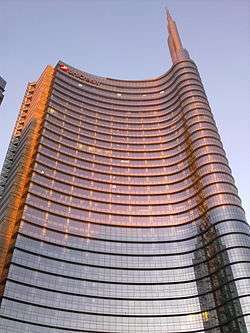 In 2007, in combination with the Capitalia Group, the third-largest Italian banking group; UniCredit Group consolidated and strengthened its position, but added considerably to its overhead costs. The registered office of the bank was also relocated from Genoa (inherited from Credito Italiano) to 17 via Minghetti, Rome. 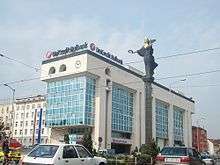 In the same year, two more acquisitions were carried out: ATF Bank, which ranks fifth out of domestic banks in Kazakhstan with 154 branches, and Ukrsotsbank, a universal bank. With these two banks the Group extended its operations in this area to 19 countries (including Central Asia). However, in November 2012, Kazakh government sources declared UniCredit is in talks with Kazakh investors over the sale of a controlling stake in ATF Bank. In 2010, UniCredit absorbed its subsidiaries: UniCredit Banca, Banca di Roma and Banco di Sicilia into the parent company. In 2013 UniCredit Finance informed that they would no longer provide banking services in Latvia. On March 14, 2014 UniCredit announced that it expects to cut around 8.500 jobs upcoming time, together with the announcement of a $15 billion loss in the 4th quarter of 2013 due to extensive cash-reserving for bad loans and writing down goodwill from acquisitions. UniCredit is one of the 6 European banks which is currently most exposed to potential problems in the emerging markets. In April 2015 UniCredit and Banco Santander reached an preliminary agreement to merge their asset-management businesses in a transaction valuing the combined entity at about 5.4 billion euros ($5.8 billion). The accord created a holding company called Pioneer Investments that is 50 percent owned by UniCredit and 50 percent held by the U.S. buyout firms Warburg Pincus LLC and General Atlantic LLC. The holding firm owns Pioneer’s U.S. business and controls combined operations of UniCredit’s Pioneer, excluding its U.S. activities, and Santander Asset Management. The two lenders hold each one third of the new combined business, while Warburg Pincus and General Atlantic owns the rest. However, the deal was terminated on 27 July 2016. From June 2015 to April 2016 UniCredit sold its bad debts that was doubtful to collect (sofferenze) to various investors, namely PRA Group Europe (€625 million gross), a fund managed by Cerberus Capital Management (€100 million gross), a US fund (€150 million gross), AnaCap Financial Partners (€420 million gross). In October 2015, UniCredit also sold UniCredit Credit Management Bank (now doBank), the subsidiary that specialized in managing non-performing loans (NPLs) to Fortress Investment Group and Prelios S.p.A.. A portfolio of €2.4 billion (in gross book value) NPLs were included in the deal. On a year to year basis, net value of sofferenze had increased from €19.701 billion at 31 December 2014 to €19.924 billion at 31 December 2015 (or from €52.143 billion to €51.089 billion in gross). On 11 March 2011, Unicredit said in a press release that they froze the voting rights of the Libyan shareholders (Central Bank of Libya and Lia). UniCredit had sponsored tennis tournaments Czech Open, Vienna Open (by Bank Austria), golf tournaments Ladies German Open and Austrian Open. UniCredit is one of the UEFA Champions League's current main sponsor. 1 2 3 4 5 "2014 Consolidated Reports and Accounts", unicreditgroup.eu, July 2015. ↑ "Top Banks in the World". Retrieved 5 May 2016. ↑ "Corporate website". UniCredit Group. Retrieved 25 February 2015. ↑ "Börse Frankfurt (Frankfurt Stock Exchange): Stock market quotes, charts and news". Retrieved 5 May 2016. ↑ "General company information". UniCredit Group. Retrieved 30 July 2010. ↑ "Provvedimento N°24: Credito Italiano / Unicredito" (PDF) (in Italian). Banca d'Italia. 2 November 1998. Retrieved 3 March 2016. ↑ "ROLO BANCA: Via libera alla fusione con UniCredito Italiano prevista nel piano di riorganizzazione del Gruppo UniCredito Italiano" (in Italian). Rolo Banca. 12 March 2002. Archived from the original on 20 August 2002. Retrieved 20 March 2016. ↑ Groendahl, Boris (12 March 2009). "Austria's Madoff-hit Bank Medici seeks buyers". Reuters. Retrieved 9 February 2013. ↑ Schneeweiss, Zoe (31 December 2008). "Bank Medici Manages Up to $3.2 Billion of Assets Tied to Madoff". Bloomberg. Retrieved 9 February 2013. ↑ "UniCredit: Closing of the 2S Banca sale to SocGen". UniCredit. 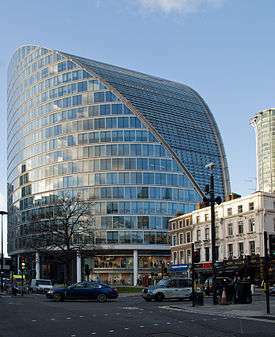 4 October 2006. Retrieved 4 April 2016. ↑ "UniCredit in Talks to Sell Stake in Kazakhstan's ATF Bank". The Gazette of Central Asia. Satrapia. 18 November 2012. ↑ "UniCredit Posts Record Loss, Plans 8,500 Job Cuts". Bloomberg. Bloomberg. 11 March 2014. ↑ "European banks have $3 trln of exposure to emerging markets". Reuters. Reuters. 3 February 2014. ↑ "Santander, UniCredit Agree to Combine Asset Management Units". Bloomberg. 23 April 2015. ↑ "UniCredit comunica di aver raggiunto un'intesa per la cessione di un portafoglio di crediti in sofferenza derivanti da contratti di credito al consumo, prestiti personali e scoperti di conto corrente" [UniCredit announces to have reached an agreement on the sale of a non performing consumer, overdrafts and personal loans credit portfolio]. UniCredit. 30 June 2015. Retrieved 16 April 2016. ↑ "UniCredit annuncia di aver raggiunto un accordo per la cessione di due portafogli di crediti in sofferenza del segmento PMI" [UniCredit announces it has reached an agreement on the sale of two Italian SME non performing exposure portfolios]. UniCredit. 17 December 2015. Retrieved 16 April 2016. ↑ "UniCredit comunica di aver raggiunto un'intesa per la cessione di un portafoglio di crediti in sofferenza derivanti da contratti di credito al consumo, prestiti personali e scoperti di conto corrente" [UniCredit announces to have reached an agreement on the sale of a non performing consumer, overdrafts and personal loans credit portfolio]. UniCredit. 13 April 2016. Retrieved 16 April 2016. ↑ "UniCredit e affiliate di Fortress insieme a Prelios hanno perfezionato la cessione di UCCMB, incluso un portafoglio di sofferenze pari a €ca. 2,4 mld" [UniCredit and affiliates of Fortress together with Prelios finalize the sale of UCCMB, including c. €2.4bn non-performing loans]. UniCredit. 30 October 2015. Retrieved 16 April 2016. ↑ "UniCredit e affiliate di Fortress insieme a Prelios sottoscrivono l'accordo per la cessione di UCCMB, incluso un portafoglio di sofferenze pari a €ca. 2,4 mld" [UniCredit and affiliates of Fortress together with Prelios reach the agreement on the sale of UCCMB, including c. €2.4bn non-performing loans]. UniCredit. 12 February 2015. Retrieved 16 April 2016. ↑ "2015 Progetto Bilancio Consolidato" [2015 Draft Consolidated Reports and Accounts] (PDF) (in Italian). UniCredit. 22 March 2016. Retrieved 16 April 2016. ↑ "Shareholders structure". 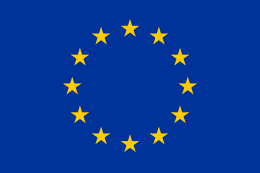 UnicreditGroup.eu. Retrieved 5 May 2016. ↑ "Press Release, 11 March 2011". UniCredit Group. Retrieved 2 April 2014. ↑ "UniCredit renews its UEFA Champions League sponsorship and becomes a new partner of the UEFA Europa League". it.ibtimes.com. 5 June 2015. Retrieved 30 June 2015.